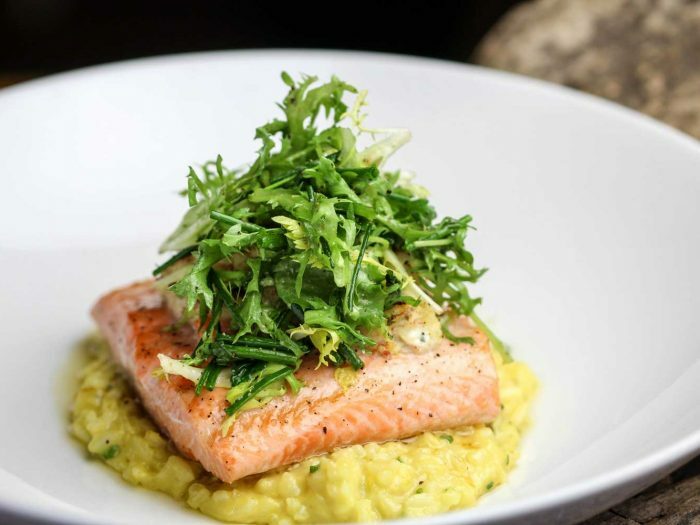 Salty’s chefs bend over backwards searching local farms and waterways for the freshest seafoods at their prime. If you’re looking for our current offerings, read the latest Salty’s News. 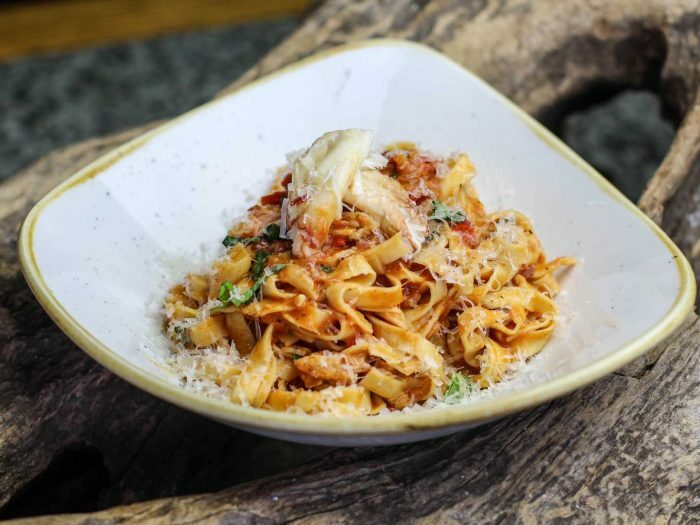 To be in the know, sign up for Salty’s VIP Email List and you’ll receive Kathy Kingen’s Food Nutrition Blog, Chef Jeremy McLachlan’s Kitchen Tips and Salty’s Festival Recipes for the Home Cook every month! Winter brings to mind mouth-watering thoughts of Salty’s “You Crack Me Up!” Crab Festival. This Pacific Northwest crab festival is a very popular winter event. 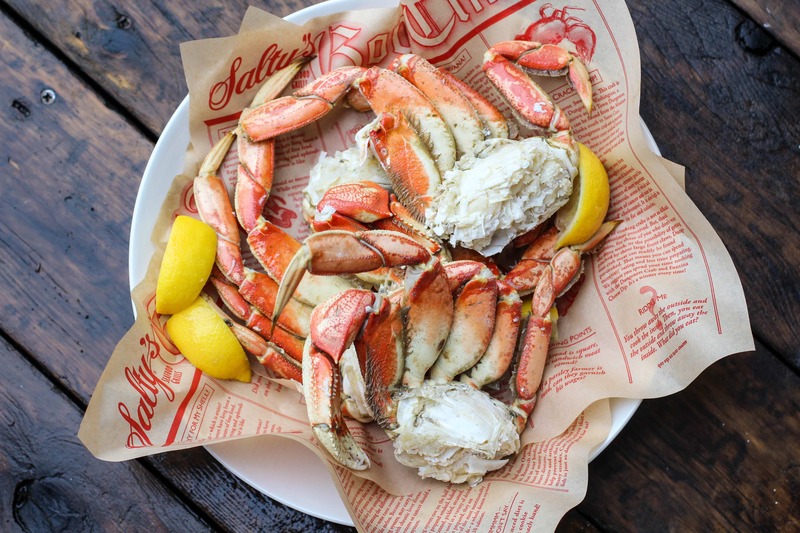 January and February, Salty’s Seafood Grills attract gourmet food lovers from Seattle, Des Moines, Kent, Tacoma, Federal Way, Redondo Beach and Portland, Oregon, to celebrate this crabbiest of crustaceans. 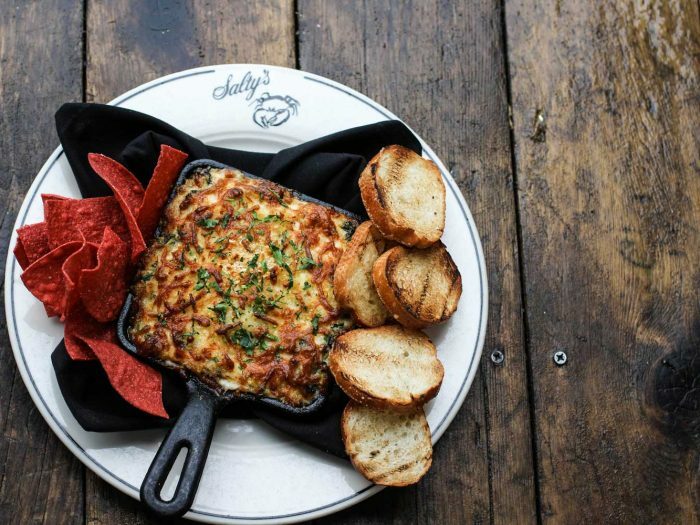 Be sure to read the latest Salty’s News so you don’t miss our Crab Boil event which sells out quickly. Sign up for Salty’s VIP Email List to be in the know! 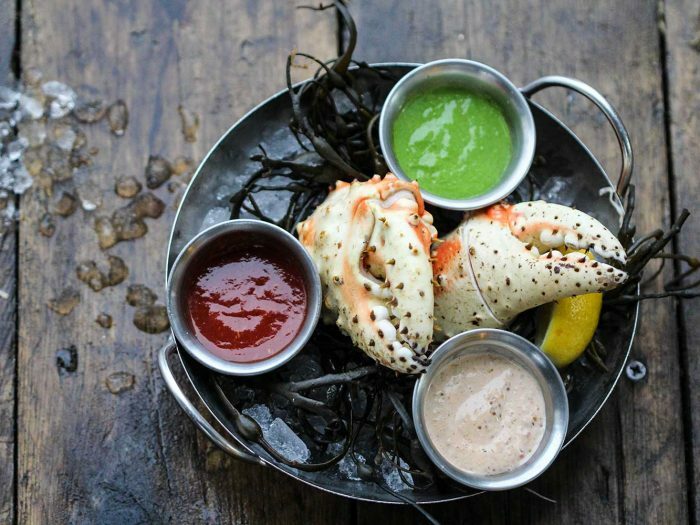 As winter gives way to spring, it’s time for you to celebrate crusty crustaceans along with Washington Wine Month. 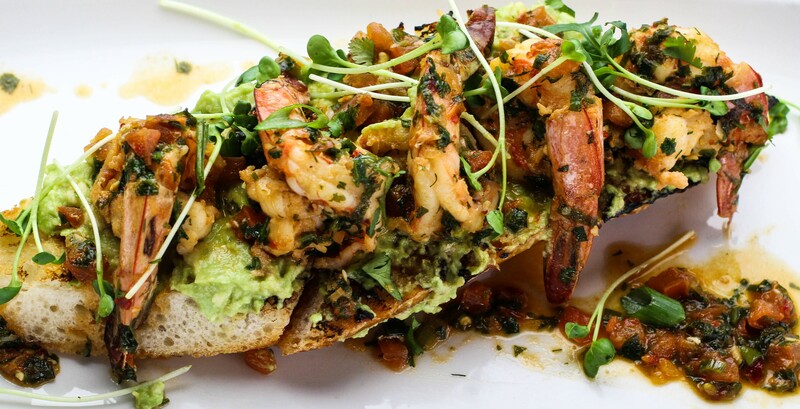 Come to Salty’s waterfront locations for our “Be Shellfish, Eat Me” Festival and pay homage to crustaceans by feasting on mouthwatering prawns, shrimp and lobster. 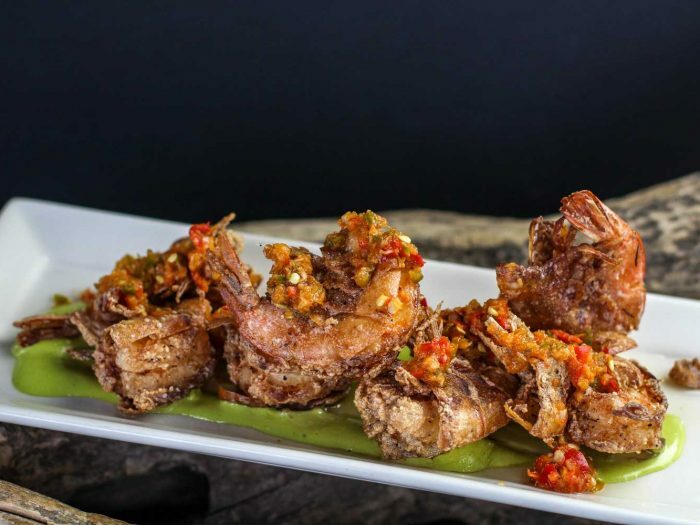 Yes, prawns are a local fish! 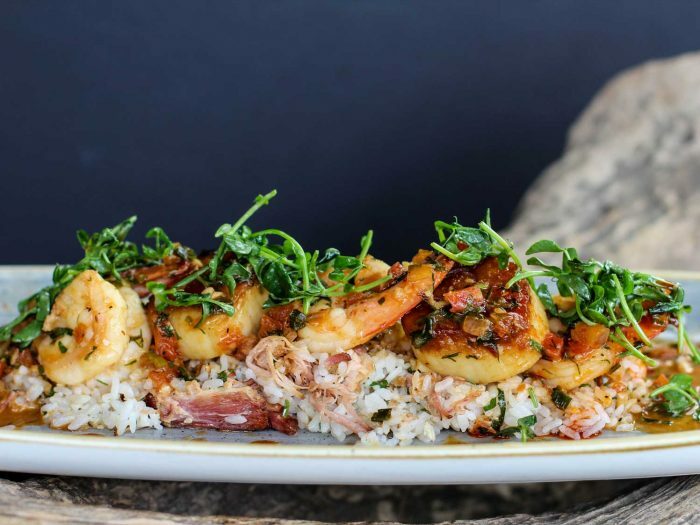 Wild spot prawns are especially prized and you’ll want to watch your local fish market to get first dibs (read Chef Jeremy’s Kitchen Tips blog to find where to buy them.) 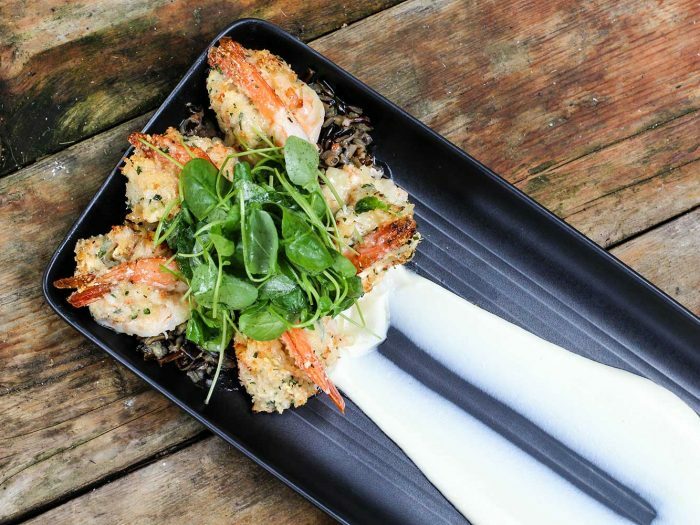 Be sure to read the latest Salty’s News so you don’t miss our Chefs’ Prawn Boil “The Prawnapalooza” event which sells out quickly. Sign up for Salty’s VIP Email List to be in the know! The catch is coming in! That means it’s time for our Hippoglossus Stenolopis festival! Hippo, what? It’s easier just to call it halibut. 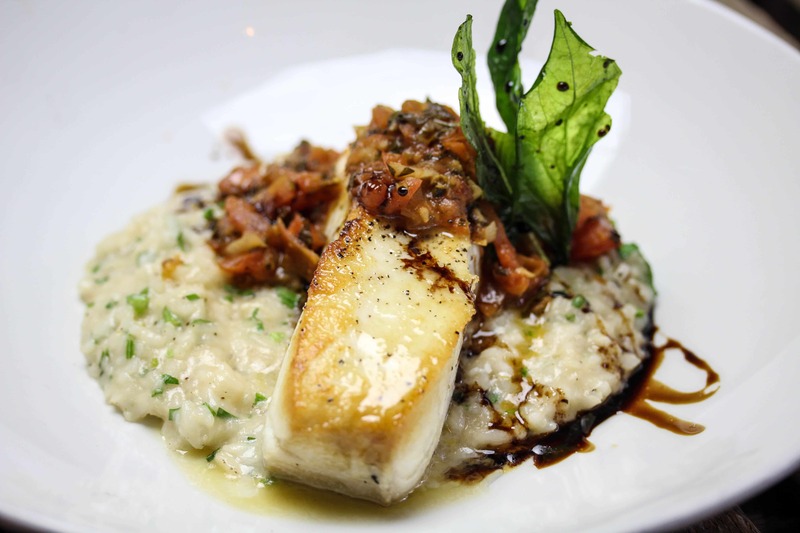 And, you can call our halibut fabulous during our Just for the Halibut Festival. Salty’s spring halibut festival kicks up its tail starting in early spring and you and your friends can enjoy it through summer at all our waterfront Salty’s Seafood Grills. Wild salmon start running in spring but the prime season is in summer. Race to Salty’s Seafood Grill for our “Wild Ones” Summer Salmon Festival. 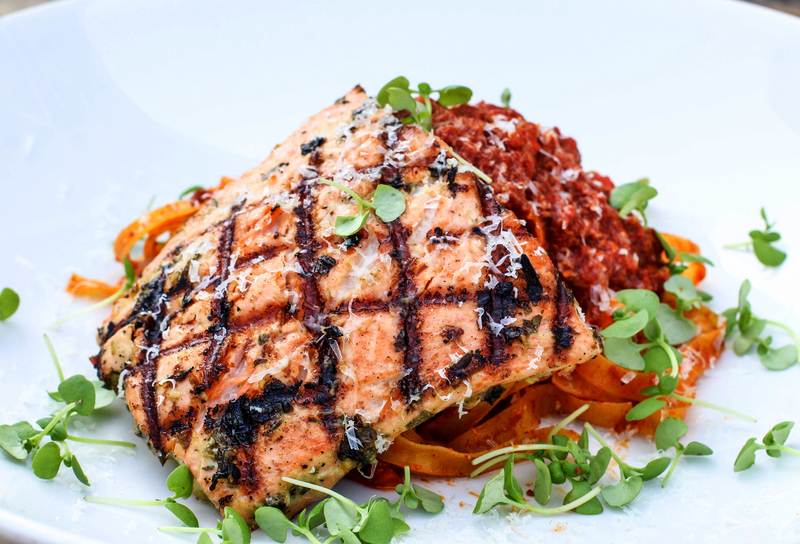 From May through September, you and your friends can come in and enjoy wild salmon fresh from the greatest rivers and inlets of Alaska and the Pacific Northwest. The end of summer comes with one consolation – fall and Salty’s “Aw Shucks!” Amorous Oysters and Bivalves Festival. 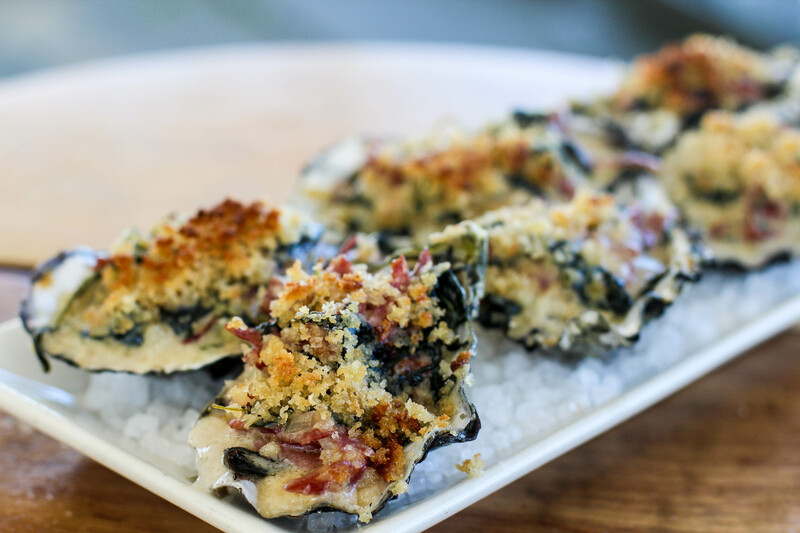 Gourmet food lovers come to Salty’s to celebrate their favorite aphrodisiac – oysters! Pacific oysters, Kumamoto oysters, European Flat oysters, and Olympia oysters all make an appearance during our annual festival. Be sure to read the latest Salty’s News so you don’t miss our Shucktoberfest event which sells out quickly. Sign up for Salty’s VIP Email List to be in the know! Although seafood is our greatest love, we know you like meat and offer you USDA steaks and other meaty dishes too, especially in winter. Speaking of other protein, turkey is in the spotlight on Thanksgiving and we sell out for our renowned Thanksgiving Buffet far in advance but offer our VIP Email List members advance reservation notice (sign up for Salty’s VIP Email List today). 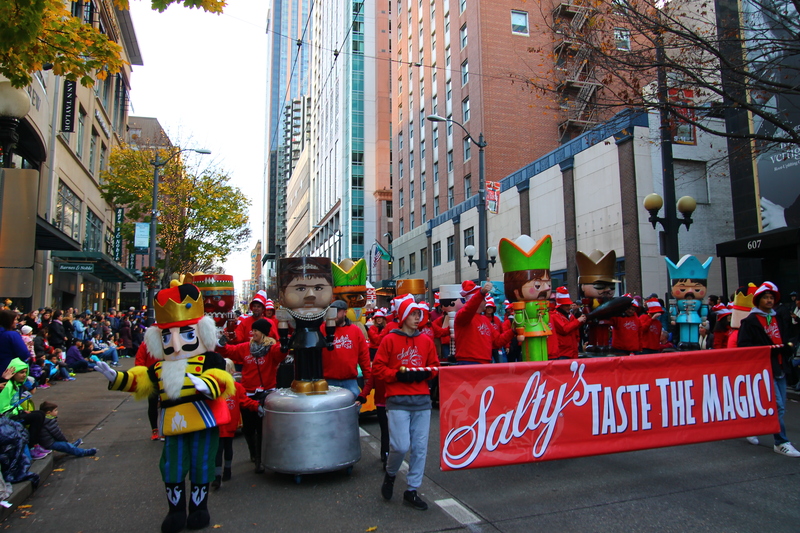 Salty’s nutcrackers are the stars of Salty’s appearance in the annual My Macy’s Holiday Parades held the day after Thanksgiving every year. These giant nutcrackers are wheeled in formation by the Salty’s team in both the downtown Seattle and Portland parades.